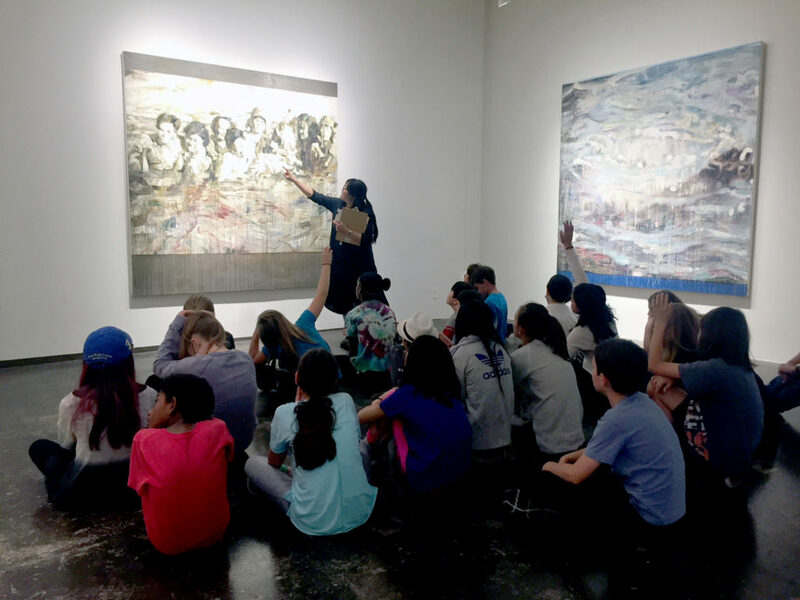 We invite students in grades 5-8 to participate in Kala’s 2019 guided field-trip and artmaking program in conjunction with the Kala Artists’ Annual exhibition. Tours will be offered on Fridays, January 25-March 1 from 10:30am-12:00pm. Teaching artists will lead students through an exhibition where they will make careful observations and discuss the artwork, how it was made, and its themes. Participants will also tour our printmaking studio, meet and learn from our Artists-in-Residence and respond to their experience through guided artmaking activities back in our classroom. All materials will be provided. View original artwork in a gallery environment, experience our professional printmaking studio, learn from working artists and build observation, discussion, critical thinking and artmaking skills along the way. The cost is $20 per student, including all art materials. With support from the California Arts Council, we have funding to cover program costs for students from public schools in grades 5-8. We can accommodate up to 30 students per tour. We are confirming tour dates and times on a rolling basis.